Sir Ian Byatt, British economist, former Government advisor and a member of the GWPF’s Academic Advisory Council, is presenting a paper today at a climate conference organised by L’association des Climato-Réalistes in Paris. Abstract: The climate change policy of successive British governments are damaging the UK economy. The UK is unique in having ambitions (80% by 2050) targets for reducing emission of CO2 embedded in a Climate Change Act, and monitored by a Parliamentary committee. Climate change policy could reduce average individual household income by more than £10,000 over a period from 2014 to 2030, or more if targets for electric cars are also to be met. Methods used to reduce CO2 emissions have destroyed the market for electrical power generation opened up by privatisation, which had earlier reduced electricity prices to customers. The UK is mired in the policies of the environmental NGOs. We need a wider analysis, taking proper account of the economic predicaments of the West. UK Economy mired in Green Aspirations. I am delighted to be here, in this distinguished company. I will talk about the UK; its climate policy implications and costs; our experience on electricity prices; why we got there; and how we might begin to get out. Where are we in the UK? We are trapped in a mess of our own making, involving harmful intervention in our economic and political life. The Establishment has painted itself into a corner with unrealistic and expensive commitments. In the words of the Prince of Wales in the 1920s, to a policy of “something needs to be done”, in this case to save the planet. Successive British governments embrace the official policy consensus. Pressure groups, the environmental NGOs, and the science lobby, including the Royal Society (nullius in verba?) have persuaded the establishment, including the current Prince of Wales, that the UK should be an international example of virtuous behaviour. The bien pensant liberals have swallowed enough of this for the enlightened scepticism advocated by David Hume to be widely labelled “denial” – much as it was labelled atheism in his lifetime. We are fortunate, however, in having the work of Rupert Darwall, David Henderson, Nigel Lawson, Peter Lilley, Benny Peiser and Matt Ridley, attempting to set the record straight. I bring you their greetings. The UK is unique in setting targets for reduction in CO2 emissions in legislation, with government claims to be on target to meet them. Parliament, with cross-party support, passed a Climate Change Act in 2008 stipulating a 60% reduction in CO2 emissions from 1990 levels by 2050. This was increased to 80% during the passage of the Bill. An independent Parliamentary Committee was established to recommend five-yearly carbon budgets designed to achieve these objectives; this committee has recommended a reduction of 57% in CO2 emissions by 2030. The reduction, so far of about 35%, has come at a high price. Like the Soviet Union, we are now governed by a succession of five-year power generation plans for the transportation, industrial and household sectors. The cost of meeting these targets, in the form of levies, taxes and subsidies, has been estimated by Peter Lilley, one of the handful of MPs who voted against the Bill. He calculates a cumulative cost of over £10,000 per household between 2014 and 2030. One encouraging sign, however, is that the government has ruled out any new levies until 2025, subject to some fine print. Meanwhile the cost of existing ones continues to rise. These costs, estimated before the shale revolution, and excluding the costs of the EU renewable energy directive, would bear particularly heavily on vulnerable companies and poorer households, while benefitting landowners who rent out their land to suppliers of renewable energy. Policies are also highly interventionist. Ministers have killed the competitive wholesale market in electricity supply, which, following privatisation, had reduced electricity prices. The choice of electric power generation is now made by ministers not the market; the additional costs being loaded on to customers via higher prices. More recently, government Ministers have begun setting targets involving the phasing out of CO2 emitting road transport. This would involve a switch towards electric cars, requiring substantial increases in electric power generation and transmission capacity. It would increase the cost of transportation and, depending on the scale of investment in renewables, further increase the cost of electricity. The UK is ambivalent about fracking. There is strong opposition from environmental interests. Our government finds it too difficult politically to clear the local planning hurdles. Finally, I simply note the prevalence of over-presumption, bias, and repressive conformism. Questioning has become taboo. World temperature has risen at a rate well below the 2°C that the IPCC considers dangerous, and much less than predicted by many climate change models. The main observable effect of rising CO2 emissions has been to promote global greening, increasing forestation and enhancing the food supply. and government monopoly crowds out competition. We have worryingly low levels of electric power capacity on cold, windless and cloudy mornings. Unless there is enough capacity at all times, businesses will be obliged to install their own fossil fuelled electric generators. Since the financial crisis of 2007/2008, our economy has been mired in slow economic growth. Under the burden of climate change policy, how can the economic expectations of our citizens be delivered? We already have a serious problem of lagging productivity growth. And failure to deliver adequate economic growth has worrying implications for liberal democracy. Denial of Costs and Capping of electricity prices? Government’s first response was to deny these costs, using science fiction analyses of the costs of new technology and forecasting implausible increases in the costs of fossil fuels. When “green” energy costs were calculated, they neglected a major element, namely the additional transmission costs of a renewable/fossil-backed system. They also ignored the rising costs of operating a combined system when the renewable element is increased beyond a small percentage. Government’s next response was to blame insufficient competition in the retail electricity market, seeking to encourage customers to switch suppliers by simplifying tariffs, and now, by providing, all households with a “free” smart meter. In his recent book, Rupert Darwall has set out the widespread scale of the problem, dealing with both the politics, the economics and the anti-business green culture. A recent review by Dieter Helm, commissioned by the government, shows how energy prices have gone up for many households and businesses despite lower wholesale costs and greater efficiencies. The response of the Labour opposition is to argue for controls over electricity prices. This policy has now been adopted by the Conservative government. Such controls would be the death knell of a competitive retail electricity market. There are already signs of withdrawal of suppliers from the household market. If prices are capped, subsidies will be required. Will the government’s industrial strategy lead to restraints on industrial electricity prices? Whence the impetus to decarbonise? Politics seems, increasingly, to consist of virtue signalling. Much of the green language of environmentalism has a religious flavour. Two significant strands may help to explain public opinion in the UK. One is the romanticism of William Blake, writing at the time of our Industrial Revolution. The other is the heritage of his contemporary, Thomas Malthus. Blake’s Jerusalem is sung by the English middle classes with enthusiasm and patriotic pride. Popular Malthusianism argues the inevitability of (eventual?) shortages of resources. Despite regular falsification, this mistaken view persists, e.g. in the work of the Club of Rome. The same argument appears again and again – it seems based more on opposition to industry and economic success than on empirical analysis. Environmental pressure groups provide both the inspiration for the virtuous and the votes for the aspiring politician. They emphasise “the tragedy of the commons”, not the power of innovation. They stress the consensus in science, not its challenges and its search for new information. With virtue comes certainty; rules crowd out compromises, negating the value of cost-benefit analysis, which has become a tool to convince rather than to question. The ebbing of the tide? The survey firm, Ipsos MORI, reports a decline in those concerned about climate change in the UK, falling from 82% in 2005 to 60% in 2016. Still a high percentage, however; those generally ready to welcome government action favour government action to reduce CO2 emissions. People are increasingly aware of the link between climate change policy and electricity prices. But these issues are as much social and political as scientific. Criticism of climate change policies, is not a safe subject; it can damage your career. Climate Change is a hot topic on social media. There are some signs of change. In a significant lecture on London in 10th October, Tony Abbott, former Prime Minister of Australia, placed climate change in the broader struggle for practical wisdom now taking place across the Western world. He argued that our phenomenal wealth and our scientific and technological achievements rest on values and principles that have rarely been more widely challenged, and that only societies with high levels of cultural amnesia could have made such a religion out of climate change. He proposes avoiding further increases in energy prices, making climate change policy subservient to protecting the economy. This would go well beyond the price-capping policy of the UK government. But it could be a short term way of delaying the speed of the adoption of targets that would be consistent with the fine print of our Climate Change Act. We need to change the whole storyline, making environmental and climate policy consistent with the pursuit of higher productivity and higher income for the people. Unhappily, economists are failing to do this. This should include more honest calculations of the incremental costs of expanding electrical power networks, fully allowing for all system costs, including back-up power, not just costs of types of generator, and incorporating the incremental costs of transmission and unpredictable intermittency. Getting economic analysis back into political, social and decision making will involve incorporating the particularities of human behaviour at both the individual and collective levels. This is not an easy task; but a convincing intellectual victory must respect the conflicts and confusions of our fractured world. Rupert Darwall The Age of Global Warming; a History London 2013 Chapter 26. 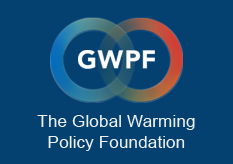 Peter Lilley £300 Billion: the cost of the Climate Change Act Global Warming Policy Foundation 2016. Already £327 per household, rising to £1390 in 2050. The issues are more about storylines than analysis “At the highest circles, people still don’t get it,” said California’s governor Jerry Brown, during his 40-minute speech at a recent climate change conference organized by the Pontifical Academy for Sciences. “It’s not just a light rinse” that is needed, he added. “We need a total, I might say ‘brain washing’.” Quite! Sir Ian Byatt is an academic who became a public servant. He was educated at Oxford and Harvard Universities, taught economics at Durham University and The London School of Economics before joining the Government Economic Service as the Senior Economist in the Department of Education and Science, and subsequently Director of Economics and Statistics in the Ministry of Housing and Local Government and the Department of the Environment. In 1972 he established a Public Sector Economic Unit in the Treasury and subsequently became Deputy Chief Economic Advisor. At the privatisation of the Water Authorities in England and Wales in 1989 he was appointed Director General of Water Services (the Regulator). He was subsequently Chairman of the Water Industry Commission for Scotland and an Adviser on water services to the government of Northern Ireland. In 2005, he submitted a sceptical paper on Global Warming to the Enquiry of the Select Committee on Economic Affairs of the House of Lords into the Economics of Climate Change. He was one of the authors of the Dual Critique of the Stern Report published in World Economics in 2006 and author of an article on the choice and use of rates of discount in the analysis of climate change published in 2008.